I have bought a new carbon crank set but I realized the interface is ISIS octalink, not ISIS. Then I'm searching for a new bottom bracket. I started gto collect data on the original Jetstream BB. According Dahon website specs, it's an American Classic BB. The big question: does I need to change for a 68 x 118mm or other bottom bracket ? 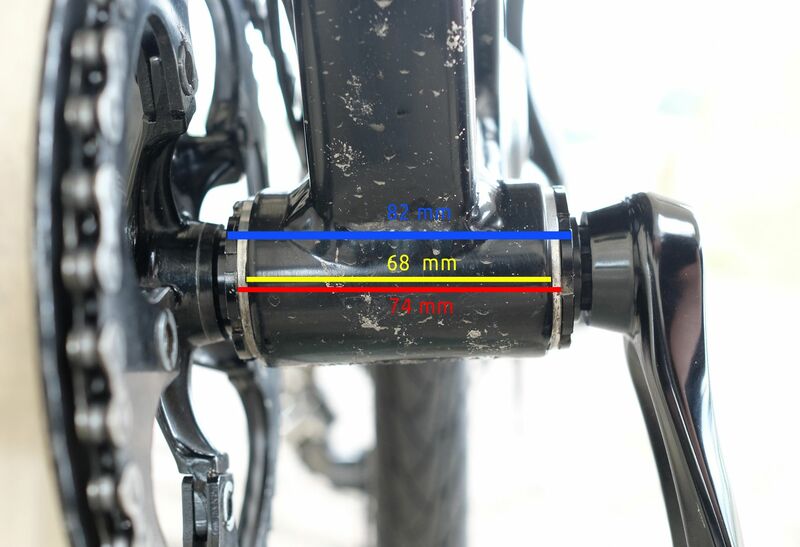 I don't know excactly I don't know if the chrome "overtaking" is a part of the frame itself of a part of the bottom bracket exceeding on both sides.